With a large choice of public campgrounds around McCall, Idaho, in Payette and Boise National Forests, you will find the ideal home base for your mountain adventures. Camping out in the Payette or Boise National Forests is the perfect way to spend your McCall, Idaho vacation. Surrounded by millions of acres of forests, grasslands, rushing rivers and wide canyons, you will find outdoor recreation has taken on a new meaning. The solitude of these forests offers time to get away from the hustle and bustle of the workaday world. There are numerous campgrounds to choose from, with sites on rivers, lakes or deep in the woods. Enjoy a wide variety of adventures, from hiking and biking to fishing and river rafting. The fun never stops. Make reservations at your campground by calling 877-444-6777. 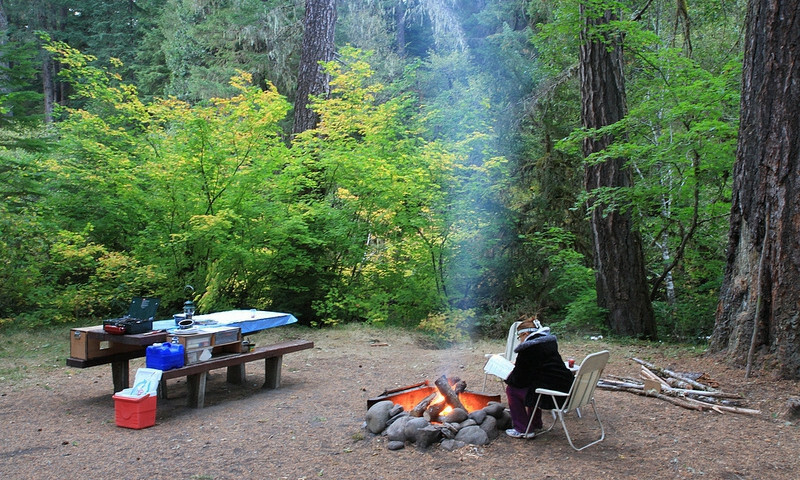 The general maximum stay for these national forest campgrounds around McCall Idaho is 14 days. For Payette National Forest campgrounds close to McCall, visit the Payette National Forest website (Choose the McCall and Council Ranger Districts). For Boise National Forest campgrounds close to McCall, check out the Cascade Ranger District camps. Campgrounds are open typically from May or June to September or October, depending on the campground you choose. Camping fees are usually $10 a night. Some sites are on a first-come, first-served basis in case you want to just drop in.